This document has several games that can be played with an egg carton. These games are perfect for Math Centers or for early finishers. The egg carton game board is super easy to make and it's a great way to recycle those styrofoam containers! 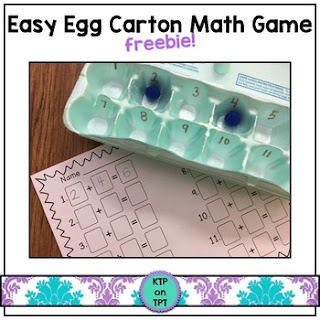 Check out all of my Math Center games by clicking HERE!